Going it alone in Japan? 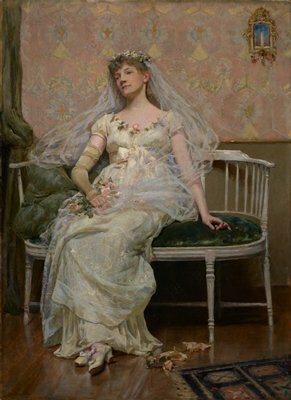 This bride looks exhausted after her big day, awaiting her groom for the honeymoon. In Japan, she could enjoy a quiet wedding night all by herself.